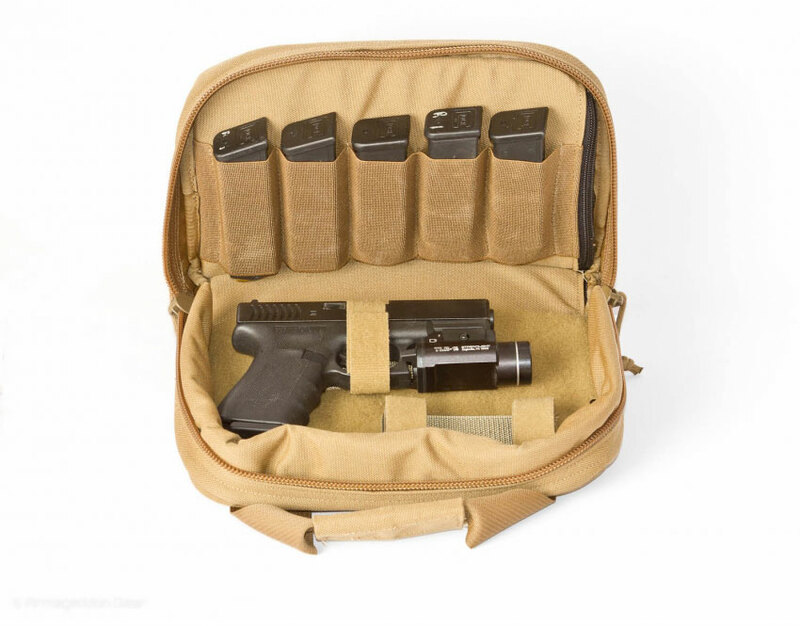 This compact, but fully featured pistol case accepts handguns or other equipment. Five elastic magazine slits and a fully Velcro loop-lined inner panel make it easy to transport spare magazines, pistol, suppressor or other equipment to the range. Milspec 1000 Denier solution-dyed Cordura nylon handles hard use with ease and high-density closed-cell foam padding protects valuable weapons and accessories. This is the finest pistol case you'll ever own! Like everything Armageddon Gear manufactures, the Perfect Pistol Case is made in the USA!